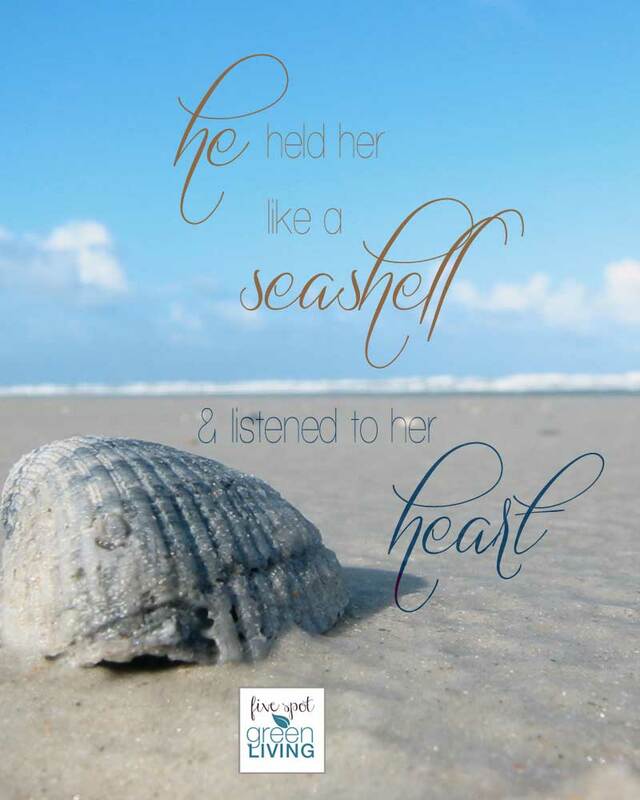 I love this quote…it makes me think of the ocean and the sheer beauty of everything near it. I love the sound of the waves, the squeak of the seagulls and the horns from boats in the distance. It also makes me think of love and how one needs be gentle and take the time to listen in order to hear. So often we are in a rush through the day and do not take the time to listen to each other. So often we don’t take the time to embrace and remember the delicate and beautiful nature of our love. This is especially true when we have kids running around, right? I love this quote and had to pin it. Thanks for sharing.